The Yarraville Tennis Club has provided tennis in the Yarraville/Footscray area since 1914, and is one of the leading clubs in the Western suburbs of Melbourne. The club is located adjacent to the Yarraville Gardens and is easily accessed from the Westgate Bridge and from Footscray Road. It is within seven kilometres of the Melbourne CBD. Yarraville T.C. boasts four well-maintained porous courts and four Plexipave courts. 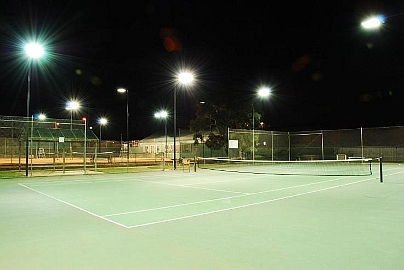 A modern lighting system has been installed on all courts. The club provides competition tennis for adults and juniors, social tennis and coaching.